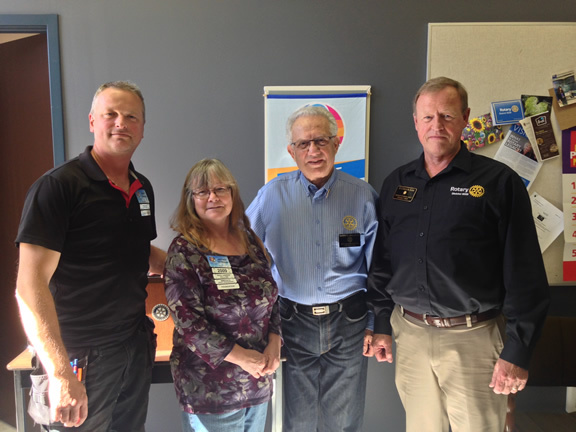 Longtime Parksville AM member, Bashir El Khalafawi, is a busy Rotarian. As the District Chair for the Paul Harris Society for Vancouver Island, Bashir visits Clubs throughout District 5020 to promote membership in the Paul Harris Society. As one of the largest Rotary districts in the world, that's a lot of clubs - 88 to be exact! Named after Rotary’s founder, the Paul Harris Society recognizes Rotary members and friends of The Rotary Foundation who elect to give individual contributions of $1,000 or more each year to the Annual Fund, Polio Plus Fund, or approved Foundation global grants. Its purpose is to identify, engage, and recognize members who have the ability and desire to make substantial annual gifts to help communities around the world.